Cherie Blair could face a corruption probe after an investigation uncovered suspicious financial links between her law firm and the autocratic Maldives President Abdulla Yameen, as well as an arms trafficker wanted for terrorism. Omina Strategy, the law firm founded by former UK Prime Minister Tony Blair’s wife, earned more than £2,000 (US$2,850) a day working for Yameen in various capacities, including managing his administration’s PR. The firm claims it was hired to help “improve transparency and accountability” in the country, where Yameen imprisoned more than 1,700 opposition activists during a state of emergency last November. But secret documents obtained by the Daily Mail indicate the firm was hired to advise on “strategic diplomacy, media training, [and] international media relations” and to handle PR during the government’s legal battle with former president Mohamed Nasheed, who claims he was ousted from office by force in 2012. 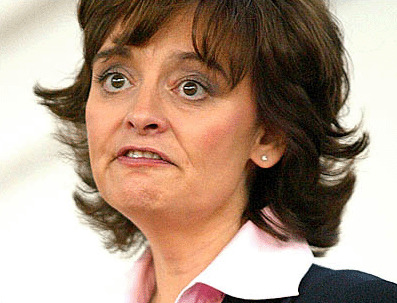 According to the investigation, Cherie Blair’s company was paid more £420,000 for six months’ work, £210,000 of which was paid by Mohamed Allam Latheef – a man now wanted by Interpol on charges of arms trafficking and terrorism. Omina Strategy was also involved in financial transactions with Adbullah Ziyath, the former head of state-run Maldives Marketing and Public Relations Corporation (MMPRC), who is now suspected of colluding with Latheef and is on trial for allegedly masterminding the embezzlement of more than £50 million from the government. The Daily Mail quoted lawyers representing victims of the regime who have called for Blair’s relationship with the Maldivian leader to be investigated.